Blogging for my Garment sewers! 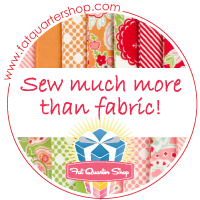 (Sorry quilters; next week I promise!) I have the most amazing find! Educational Swatch Packets from Fabric Mart. If you buy fabric online, then this post is for you. Each of these fabulous swatch packets are just $4.99 each. They offer them in Silk – 18 swatches, Wool and Suiting – 19 swatches, and Stretch Knits – 20 swatches. Each swatch is a very generous 4″ x 5″ so you can really grab the fabric to feel the texture, weight, translucency, and hand (use your imagination here a bit). I always read the fabric descriptions but after awhile, they all sound the same. I bought these because it all sounded so abstract to me. When I found these I really just wanted the one for knits. I’m mean honestly, who can tell the difference online between a Polyester Ponte Knit, a Hacchi Sweater Knit, and an ITY knit – all of which are made from Polyester and Lycra? Well, that might be an easy one for you pros, but if you’re like me and all you see is “knit” which means it’s anything but a woven, then these gems are invaluable. I do know enough about fabrics to know that the swatches are in the packets in the order described in the pages so that helps a bunch.